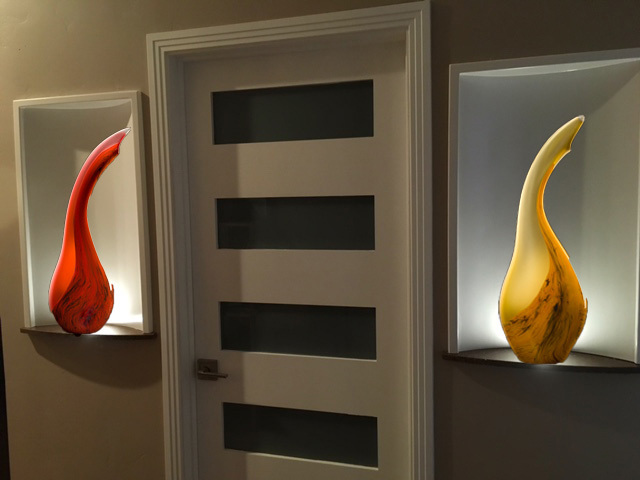 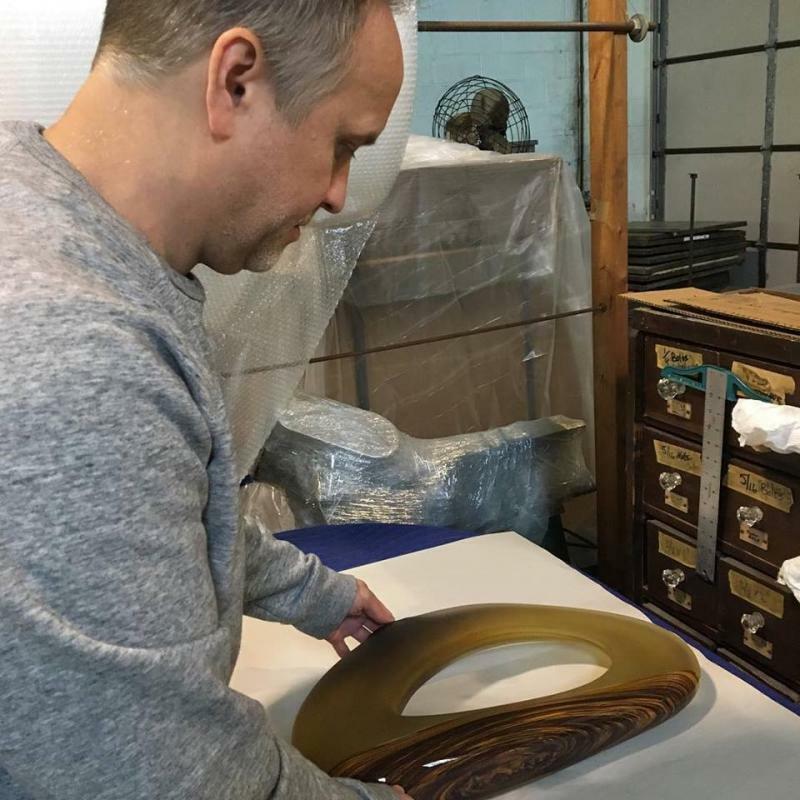 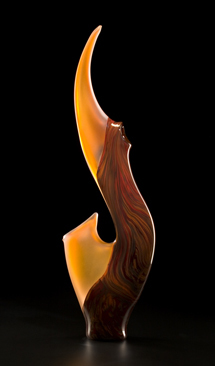 Welcome to the KatzGlassDesign online store where we showcase all of our available glass art handcrafted by Bernard Katz. 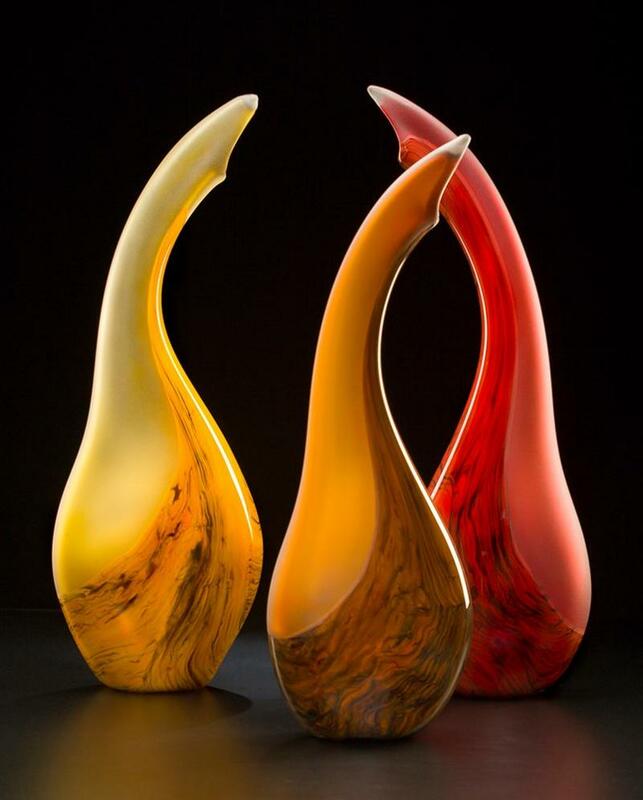 Each glass sculpture is in stock and available to ship 2-3 business days. 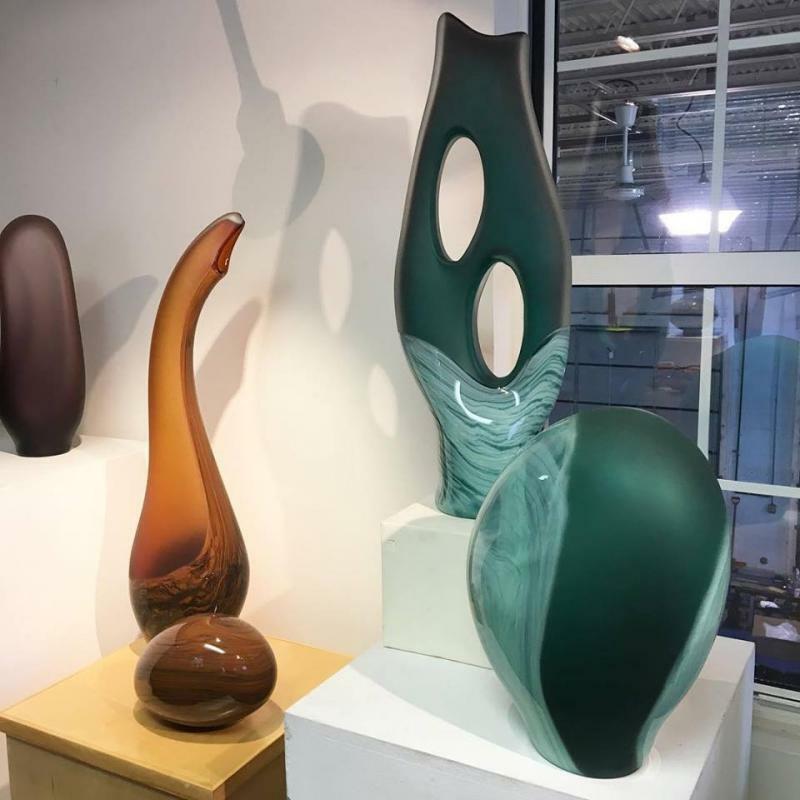 View several of the sculptures available for purchase in our video of our gallery. 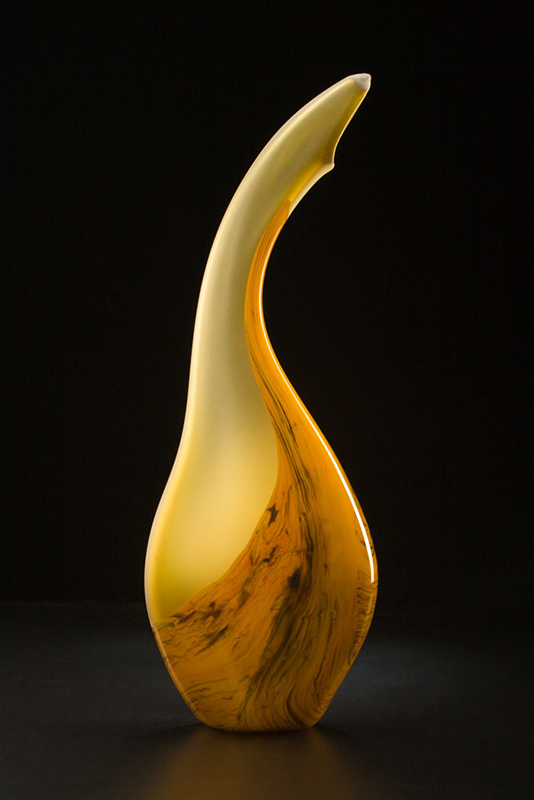 Combined opaque cinnamon color and sandblasted texture allows the light to shine through. 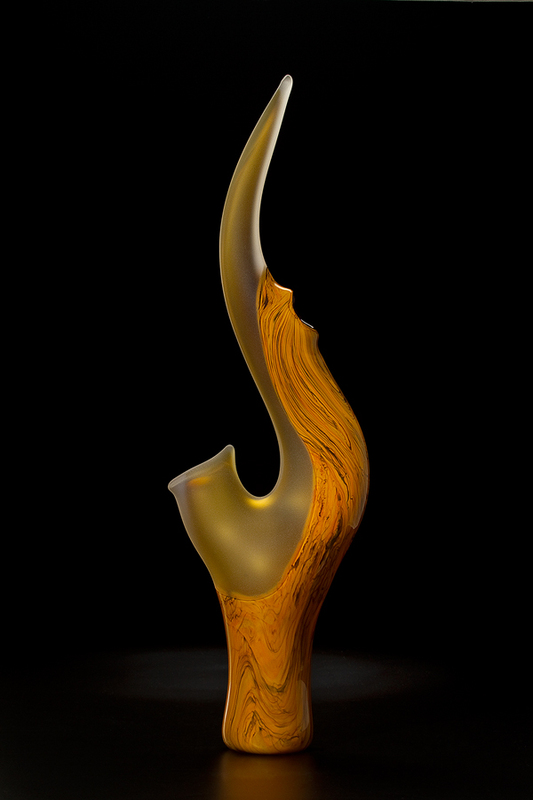 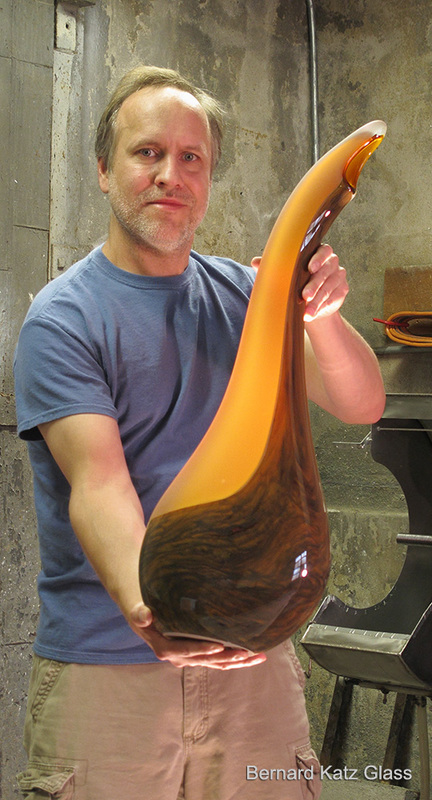 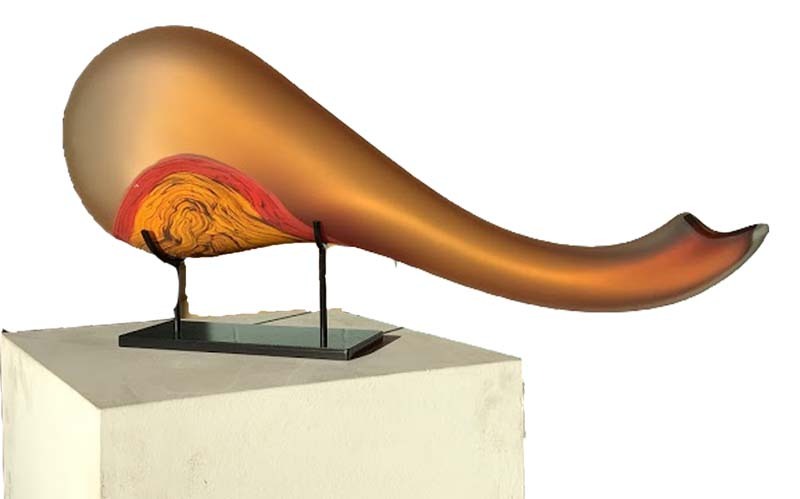 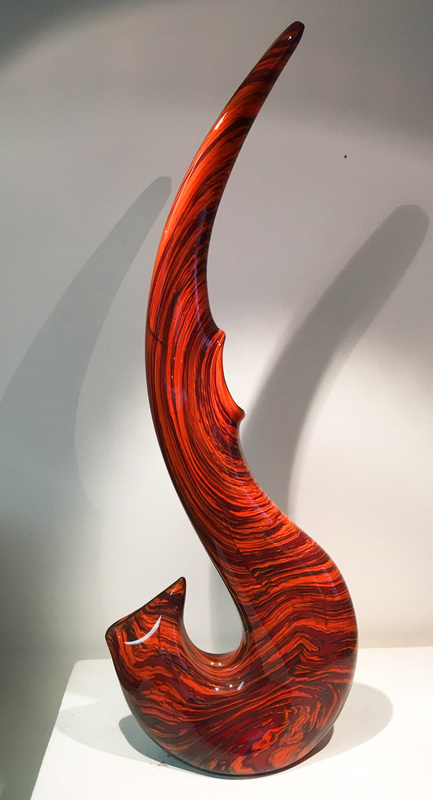 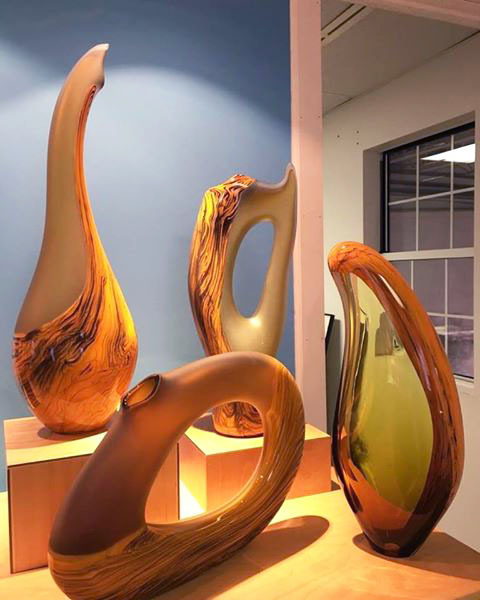 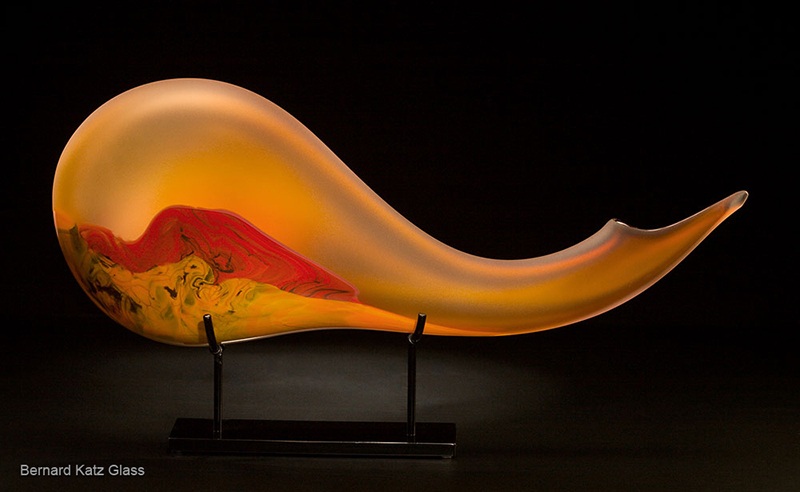 Dynamic movement of the Cinnamon Vilano, hand blown art glass sculpture in cinnamon color. 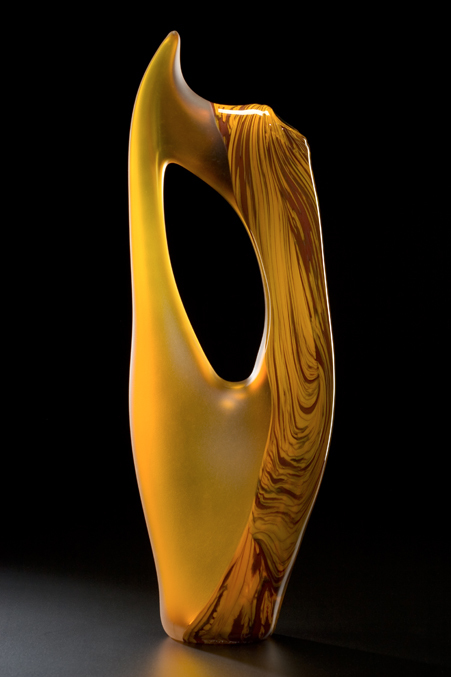 Shown in a golden color with Venetian red accents. 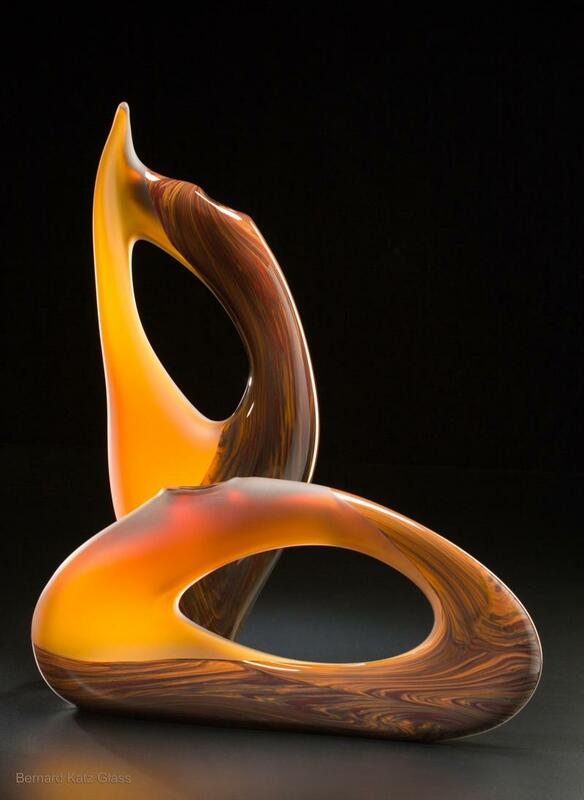 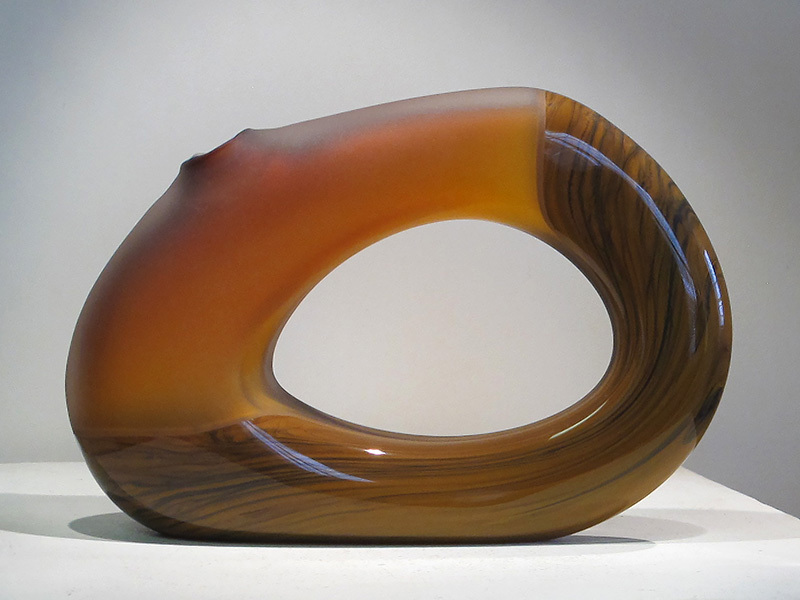 Size: 30" x 13" x 5"
Tall S-curved organic shape hand sculptured in hot glass. 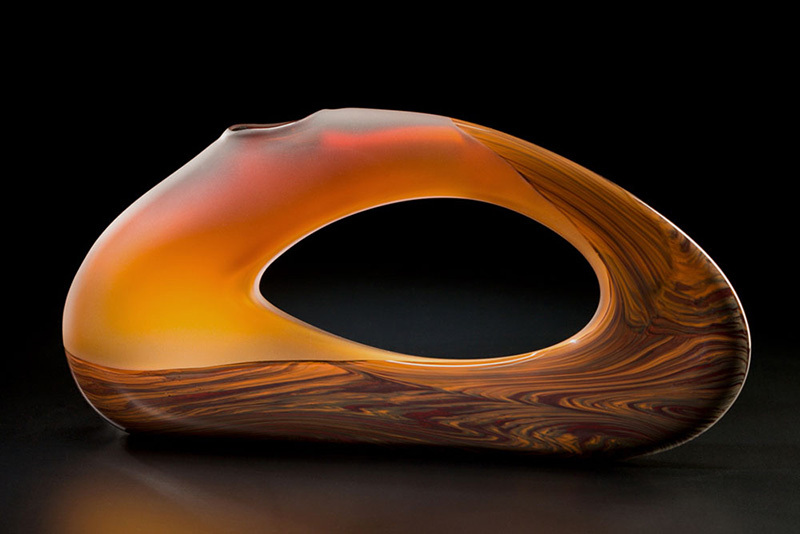 Size: 29" X 9 X 6 1/2"
Horizontal organic glass shape with sandblasted cinnamon color. 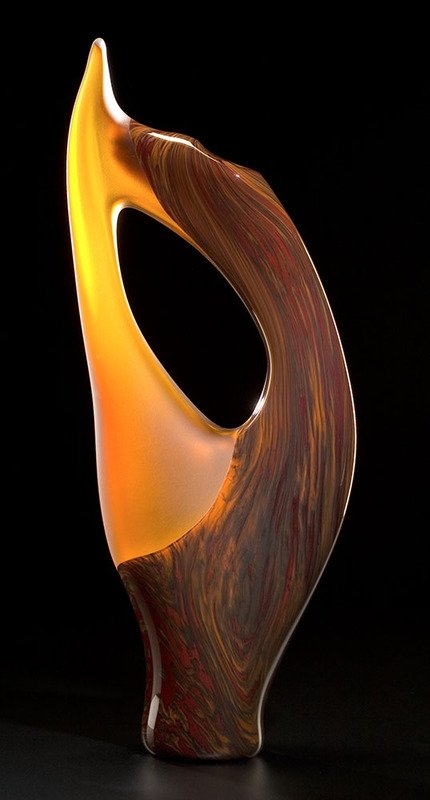 Art glass sculpture by Bernard Katz. 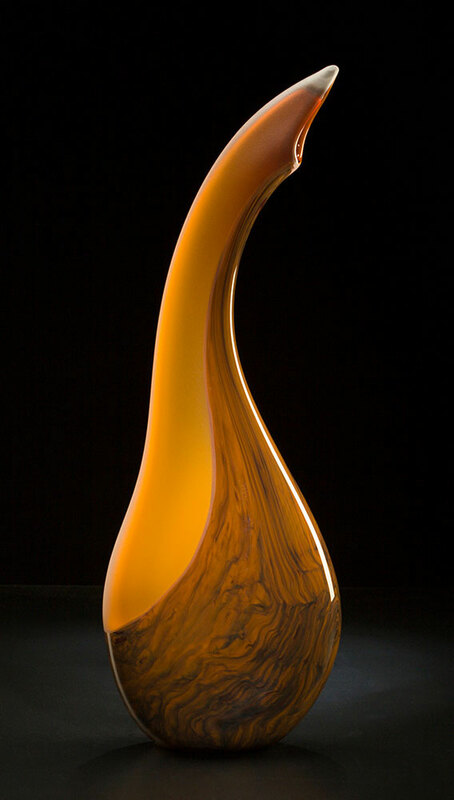 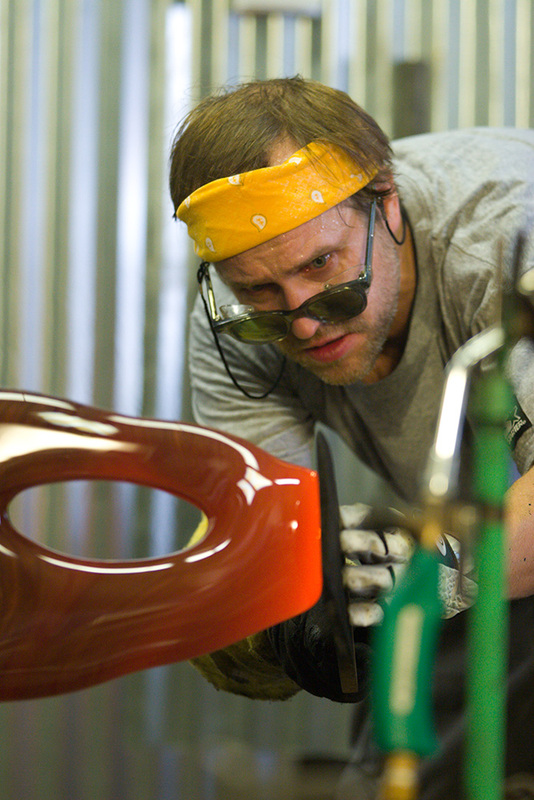 Actual Size: 18L' X 9H" x 4D"
Size:30" X 9 X 5"
Sign-up for exclusive specials,Glass Tips & News from Bernard Katz Glass.